As this article contains the names and identities of individuals that people need to be very wary associating with, I am happy to share the details of the cases with law enforcement agencies if they are interested. If the individuals mentioned wish to sue me, stalk me or do voodoo on me then please feel free to do so… For more information on scammers click here to check my article on Nigerian Scammers! Another angle for the scammers is the “Business Hook”, this is where an apparently legitimate business deal can end up with investors getting ripped off, the deal can be real, but the investors will just lose their investments and any assets they have paid for. This scam has multiple angles and a common one is an investor is befriended over time and offered to participate in project, let’s say buying mining equipment for a project in Africa and their return would be a percentage of the mine. The investor would purchase and ship the equipment to the mine paying for shipping, customs fees and taxes on the equipment. Then when the equipment is at the final location it could be stolen, seized by the government or those they are dealing with would just disappear. I know of one case when several million dollars’ worth of construction machinery was purchased in Europe and shipped to Tunisia . When the machinery was in country the loan payments stopped, and the company that supplied the equipment was unable to repossess it as those who bought the machinery had proof of ownership for it in Tunisia. So, if they tried to repossess the machinery, they would be committing theft in Tunisia. All they could do was take civil action against the company they sold the machinery to, however by that time the purchasing company had been dissolved. I have spoken with several people who have had issues with business deals in the area of minerals in the Democratic Republic of Congo and Tanzania. 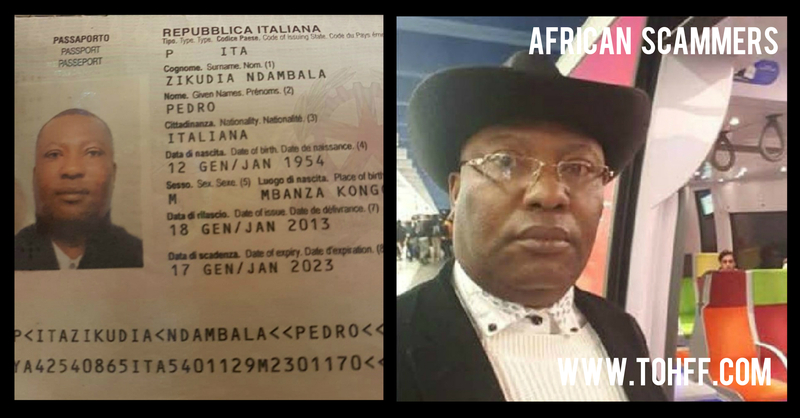 One name that had popped up several times is John Tomakilunda Matumuene a Congolese business man who is involved in scams involving conflict minerals form the DRC. Investors are usually introduced or approached by a middle man, in the US a name that has appeared is Mr. Fior Muyinda, a Congolese national with US citizenship living in the Dallas, Texas area. After the investment projects are explained the final business meetings are held in Dar Es Salam in Tanzania where the investors are shown the assets they are buying and explained what is expected from them and the returns. As soon as they make the initial investment the problems begin, which always require more money to solve. The result is the investors lose the assets and their investment and usually have little legal recourse due to deals being done in several countries all with complexed and questionable legal systems. I am sure many reading this article will question why people do business in 3rd world countries with questionable reputations, well because there is money to be made. There are a lot of opportunities in the emerging markets and a lot of risk that needs to be considered. The best defense against scammers is being aware of the problem and always doing proper and thorough due diligence. Click here for my article on due-diligence!